Drs. Edwards, Lai and Morrow will tell you that tooth decay is preventable – tooth decay is caused by sugars left in your mouth that turn into an acid which can break down your teeth. Children are at high risk for tooth decay for a simple reason — many children and adolescents tend to be lax in their oral hygiene habits. Proper brushing and flossing routines combined with regular dental visits help keep tooth decay away. A low-sugar diet also helps keep tooth decay at bay. Your child should visit our convenient Tulsa office every 6 months for regular dental cleanings and checkups. We recommend fluoride treatments twice a year along with cleanings to keep teeth their strongest. Tooth sealants are also recommended because they “seal” the deep grooves in your child’s teeth, preventing decay from forming in these hard-to-reach areas. 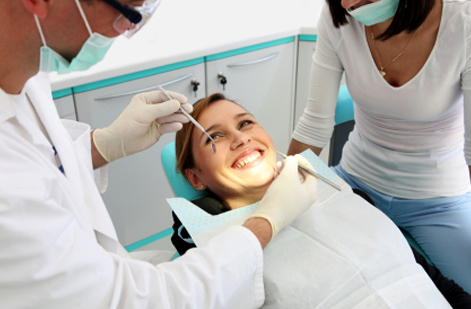 Sealants last for several years, but will be monitored at your regular checkups. If you have any other questions or concerns about your child’s dental well-being, we encourage you to give us a call at 918-742-9810.